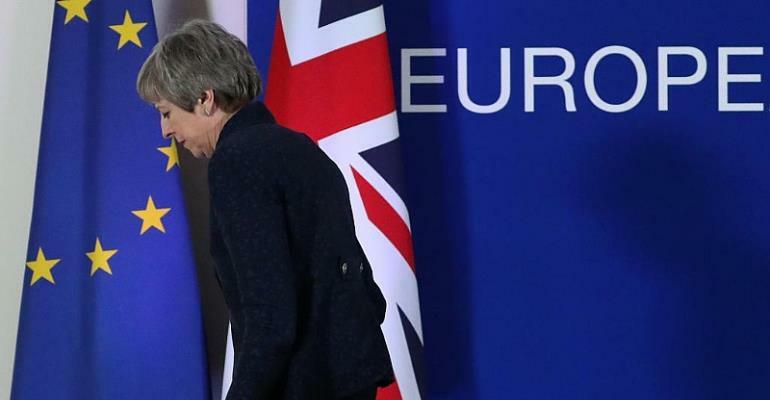 British MPs are due to hold votes this Wednesday on various Brexit options, as Prime Minister Theresa May comes under pressure to announce a departure plan and garner support for her unpopular divorce deal from the European Union. Theresa May's deal negotiated with Brussels has already been voted down twice by parliament, but the government is widely expected to present it for a third time on Thursday to ensure an orderly Brexit. MPs will hold a series of "indicative votes" -- indicating their preferences on a piece of paper -- for different Brexit outcomes, although the Prime Minister is not legally-bound to follow their instructions. The proposals put forward include a customs union with the EU, remaining in the single market, holding a second referendum or stopping Brexit altogether by revoking Article 50 - the formal notification for departure. The alternatives that will actually be voted on will be selected by speaker John Bercow later this Wednesday and voting will take place this evening with the results expected at around 21h00 GMT. Parliament's unprecedented seizure of power was spearheaded by pro-EU MPs, who want to either reverse Brexit or preserve much closer economic ties with the remaining 27 states. Three members of Theresa May's government resigned in order to vote for the move, further piling pressure on their leader. However, Northern Ireland's Democratic Unionist Party, who prop up the UK's Conservative government, have poured cold water on the deal. The DUP's Brexit spokesman Sammy Wilson has said his party would rather see a one-year Brexit delay. Writing in The Daily Telegraph newspaper, Wilson underlined "even if we are forced into a one-year extension, we at least would have a say on the things which affect us during that time and would have the right to unilaterally decide to leave at the end of that one-year." He added "we won't let the PM or the Remainer horde in parliament bully us into backing a toxic Brexit." Britain was originally due to exit from the EU on March 29th, and MPs will vote today to formalise the extension into law.